Save time and money and improve the effectiveness of your compliance. Our friendly and simple to use platform enables you to automate time consuming tasks whilst establishing better control of compliance in key areas of your business. Assist’s SAQ (Self-Assessment Questionnaire) Module makes managing suppliers easy. Everything you need to manage your supplier approval is in one place. No more multiple page paper forms to fill in. Assist automatically adapts its SAQ to your supplier – so they only need to do what’s relevant to them. You can see the approval status of all your suppliers at a glance. Certifications such as BRC, SALSA, Organic, MSC, Red Tractor etc. are actively monitored and automatically alerted when these are close to expiry. 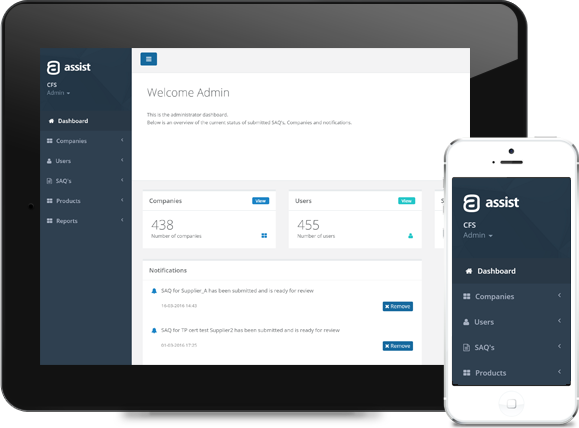 Assist has been designed with the main objectives of saving your business time, allowing you to better focus technical resources via an easy to use platform, as well as providing a more robust system of ensuring supplier approval stays up to date. Depending on the size of your supply base, our prices have been tiered to help you get the most cost effective solution for your business. Be in control of all your staff training requirements and ensure consistent competency across your business. Assist’s training management module lets you see who’s trained and who’s not at a single glance. Training profiles allow you to achieve continuity and streamline the induction process. Store all your training media for streamlined training execution and approval. Automatic notifications ensure that training expiry never gets overlooked. 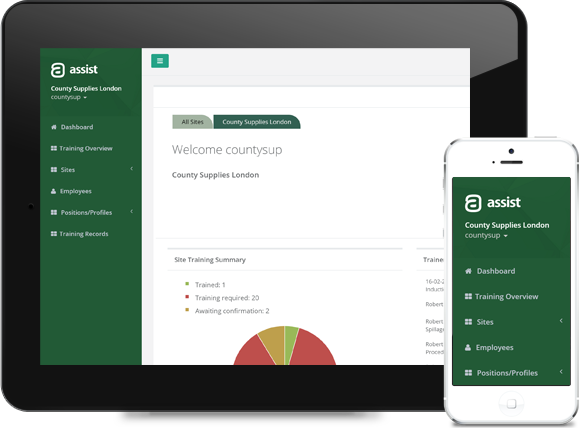 Assist’s simple to use platform allows you to ensure all new joiners or existing members of staff receive the training they need for their role, and avoid gaps in employee training records. Depending on your company size and learning needs, our prices have been tiered to help you get the most cost effective solution for your business. Once you’ve had your demo you’ll get an obligation free, 14 day trial.